The regular issue of the Almanac (No. 1, 2019) — first this year, is devoted to one of the development priorities of the uniformity measurement system — to the development of the reference base of the Russian Federation. 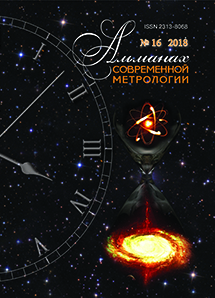 The authors of the articles are the scientists-keepers of state standards, who are at the forefront of raising the scientific and technical level of state standards of units of quantities, participating in improving the quality of metrological support for priority directions of science, technology and engineering. The sixteenth issue of the “Almanac of Modern Metrology” (fourth edition of 2018) raises a pressing issue of the day — ensuring the uniformity of measurements in the process of digital transformation of the economy. Coverage of the question is confirmed by the articles placed in the section of the almanac dedicated to the modernization of the reference base. Section “Fundamental research” starts with an article about measurement of the spectral distribution of optical radiation by acousto-optical spectrometers. 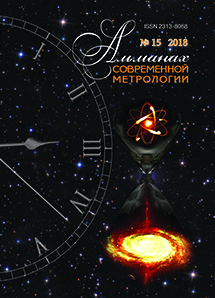 The largest part of the published works of the “Almanac of the Modern Metrology” fifteenth edition (third number this year), is mostly devoted to time-frequency measurements. First of all, among these works there is an article about the modernized re-confirmed State standard of time, frequency and national time scale. Attention is paid to the standard-bearers of the new generation playing an important role in transfer of accurate time values. 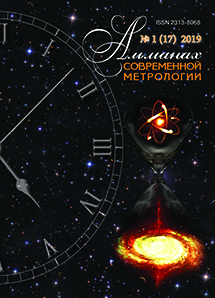 Undoubtedly, a great practical interest is connected with the detailed work devoted to the regulatory base in the field of measurement of the Earth’s rotation parameters.